Monte & Kristin : SOLD IN 22 DAYS AT 99% ASKING PRICE! When the time came for us to put our house on the market we were dreading the decision to choose a Realtor. We have many close friends in the business, but knew this decision could not be a personal one, and in fact, better be a very smart business decision. It did not take long for Carson and Judy Carey to earn our business by exuding the determination it took to ensure us the best possible price for our property in the shortest amount of time. By choosing to list our property with AmanVerde, not only were we listed in all local MLS, they produced a top notch virtual tour including the entire floor plan and beautiful still shots of each room. In addition, AmanVerde provided (at their cost!!) a fantastic "staging" expert to redecorate and organize our home in the most inviting way in order to attract potential buyers. Our house sold in 22 days at 99% of the asking price!! They handled the entire selling process quickly and efficiently, while maintaining the utmost professionalism in every detail. Post sale, when many others disappoint, AmanVerde continued to amaze by hand delivering a copy of every document pertaining to the transaction in a convenient compact disc form to the door of our new home. The entire experience has changed the way we look at the Real Estate profession. AmanVerde deserved every penny they earned and I will highly recommend their superior service to anyone who ever need to sell a property. 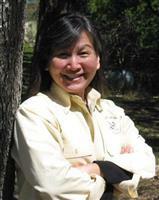 In December of 2004, we decided to purchase a home in Wimberley, TX. While we knew much about the area, living in Nashville TN at the time, it would have been very difficult to buy property some 1,000 miles away. Based on a referral from a friend, we selected AmanVerde Land Company but more specifically Carson Carey to represent us. We could not have been more pleased. Although via long distance, Carson took the time, via phone and e-mails, to ask questions and determine OUR needs. This included not only such things as size, price and location of the home but also why we were moving and the type of lifestyle and community we were looking to live in. Based on this, Carson previewed and then sent to us for review a plethora of homes on the market. Our first review was based on the written document in the multiple listing service. This allowed us to pre-select homes to physically view so our trips to Wimberley would be worthwhile. Although there as a guide, Carson let us make our decision on which homes to look at even though he knew they may not fit our criteria. Carson´s knowledge of the area allowed us to focus on specific neighborhoods and properties. His engineering background was helpful in pointing out positive and negative aspects regarding the construction of the homes. His appraisal knowledge gave us confidence in evaluating homes from a price perspective to ensure we were receiving value in the home both from a purchase and a future re-sale standpoint. As a result, the negotiations on the home we selected were very positive. This, however, was the easy part, next came the inspections, mortgage, closings and all the other little things that can arise to make home buying so stressful. Carson, however, was there to handle it all. Again, since we were out-of-towners, we knew very little about these services in Wimberley. Carson handled this all for us. His contacts in the area made the process a breeze. All the inspections were handled timely and at reasonable costs. He monitored the inspections, and completion of the work the seller committed to do. He was our liaison with a mortgage broker and obtained a very competitive mortgage for us. Finally, he was with us every step of the way at closing. The only thing he didn´t do was move us in. We have moved over 8 times, selling and purchasing homes, some times by ourselves and others with corporate relocation services. From first contact, to review, selection, negotiation, inspection, mortgage, closing and move?in, this was one of the most painless relocations we had. Carson was the main reason. 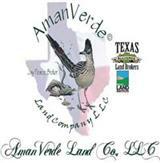 I would highly recommend Carson Carey, AmanVerde Land Company, as a realtor. I can honestly say that should I have to move again, I would make Carson my first and only call to represent me. Congratulations on a job well done! We both appreciate the professional service you provided in marketing and selling Devils Tail Ranch. You spared no expense or effort in exposing our property to the greatest number of qualified buyers and bringing to the table a buyer perfectly suited to our unique home at a full asking price. This letter is to recommend Judy and Carson Carey, owners of Aman Verde Realty, as real estate professionals who are extremely skilled in marketing quality properties with unique features. Highly knowledgeable about all aspects of the real estate industry. Judy and Carson offer dynamic marketing strategies tailored to each individual property and use the scope of their professional network to engage the interest of others. Listing with Judy and Carson was our first experience in working with professionals who can attract potential buyers from across the United States, as well as the major markets in Texas, and fell that Aman Verde's web-based marketing was the key to the successful sale of our home. We are happy to recommend them to anyone who is considering purchasing or selling a home or property. The service and personal attention we received from Judy Carey/AmanVerde Real Estate was exceptional and unexpected from a Realtor! Judy's knowledge of the local market and her key contacts in the community helped us tremendously in the sale of our property. After patiently going through periodical market analysis to preparing our property for sale to managing property showing appointments, she made sure we had a smooth closing and got the best offer for our home! Regardless of whether you are buying or selling, we highly recommend Judy Carey/AmanVerde Real Estate to help you in this life changing move. We could not have asked for a better Realtor to guide us through the process. I just thank you so much for being so pleasant and positive throughout this process and also for sitting my plants in your home and greenhouse. Surely we were blessed to find you! See you soon on this wonderful journey!